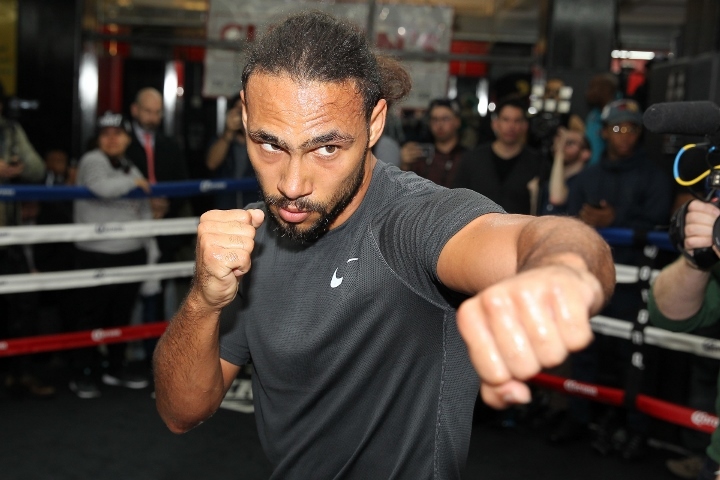 Is Thurman The Forgotten Man On The Pound For Pound List? Keith “One Time” Thurman is 28-0 with 22 knockouts. The current WBA and WBC welterweight champion has turned back all comers and sits on top of the 147-pound division. However, is it possible that he’s somehow become the forgotten man when it comes to the pound for pound conversation? If you look at the pound for pound lists by reputable outlets, Thurman’s place varies from #5 (ESPN) to not ranked at all (Ring Magazine). And arguments can be made for both. On one hand, he’s unbeaten and taken down both Danny Garcia and Shawn Porter in his last two fights. One could even go as far to argue that Thurman is similar to Gennady Golovkin where he was known as a devastating power puncher early but when the competition improved, he proved that he could box just as well as he could slug. And Golovkin is often ranked significantly higher than Thurman on just about every pound for pound list out there. The real issue isn’t Keith Thurman’s in-ring ability — although many weren’t pleased with how he took his foot off the gas against Danny Garcia — but more with his lack of activity. “One Time” has lived up to his name. But not the way he coined the moniker. Instead of needing to only hit his opponents “One Time” before they hit the canvas, Thurman now only fights “One Time” a year. While boxing has had a huge 2017 thanks to high profile matches with elite fighters facing one another and a circus fight that brought many eyeballs to the sport, Thurman has been relatively quiet due to injuries and inactivity. The product from Clearwater, Florida Garcia in March and Porter last June. In 2015, he fought twice against Robert Guerrero and Luis Collazo. And if you take the sum of those four fights, while impressive, Thurman didn’t exactly set the world on fire. He came close to pulling off an Oscar De La Hoya vs. Felix Trinidad in his fight with Danny Garcia. The rough and rugged fight with Shawn Porter ended up being one that people were split on who won the fight. It was expected that Thurman would finish Collazo, but he was hurt badly by a body shot and looked vulnerable. Thurman doesn’t get enough credit for possibly slamming the nail into the coffin of Robert Guerrero’s career as “The Ghost” was never the same after that fight. Ultimately, Thurman’s last four fights have somehow managed to hurt his stock more than help it. It’s a bizarre thing, really. But when there are caveats in each of his past four wins, the fickle fanbase and those who need every inch to give a fighter an edge in the pound for pound list will put Thurman under a microscope. Unfortunately, when you’re away from the ring, people go with what’s right now instead of what’s always been there. And Keith Thurman, for all he has accomplished, is on the outside looking in despite being the current king of the 147 pounders. There are questions as to whether or not Errol Spence Jr. can be the one to knock the crown off his head if they were to meet. There is also some curiosity regarding Terence Crawford and what would happen if he decided to make the jump to welterweight. Shawn Porter has been itching for a rematch after their closely contested 2016 contest as well. But Thurman as penalized for not being as visible. But in a world where pomp and circumstance are often bigger draws than ability (ask Conor McGregor), Thurman’s relatively calm and cool approach hasn’t endeared him to fight fans. Nobody cares about his injured elbow like they should. They only see a fighter who is barely competing in his prime years. Thurman is a prisoner of his own circumstance. Being a PBC fighter always comes with bouts of inactivity and injuries only make the time away from the ring more amplified. Between the inactivity and the lack of a highlight reel win, Thurman’s stock has dropped. But this is only a minor issue because the moment that Thurman announces his next fight, all eyes will be back on him. While the boxing world stays busy in the ring, Keith Thurman is fighting to remain relevant outside of it. Perception is reality to most and as long as Thurman isn’t fighting, he’ll slide down the fictional pound for pound list. It’s not like it matters to Thurman, however. He knows his accomplishments and will gladly remind us of them the next time he steps into the ring. Until then, he’ll be the forgotten pound for pound fighter. Deserves to be in there, but he's not "fashionable/popular" in lots of peoples eyes so that goes against him.